We’ve all been there: Stuck in a job you hate, fantasizing about making a dramatic exit. 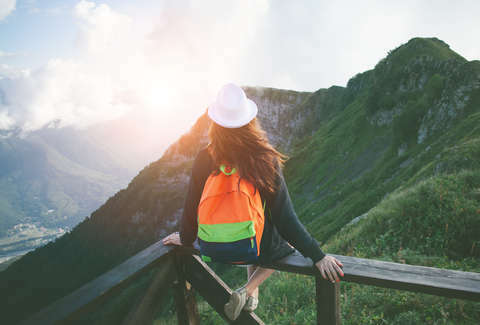 While most people don’t have the luxury of up and quitting a job they hate because rent and bills need to be paid, Eagle Creek and G Adventures have teamed up to make ditching work for an extended vacation a reality for a few lucky folks by giving away two- to three-week long trips to just about anywhere in the world. Eagle Creek is touring nine cities in the United States, auditioning contestants for the chance to win a once-in-a-lifetime trip. To win, you don’t actually have to quit your job. In fact, being chosen depends entirely on your ability to answer this one simple question, Matador Network reported: “If you could quit your job tomorrow and travel anywhere in the world, where would you go and why?” It’s something you’ve probably thought about once or twice while staring at your cubicle walls. The tour kicked off in Austin, Texas on April 13, and will continue in cities like Louisville, New York City, Chicago, Portland, and more through May and June. A full list of cities and dates is available on Eagle Creek’s website. Five people will be chosen as winners by a panel of “travel experts.” The winners will have between six and eight weeks to give notice (or request time off) at work, pack their stuff, and get ready to head to their dream destination on an all-expenses-paid trip. You may not actually be able to quit your job, but two to three weeks off could really change your perspective. If you can swing that, you’re eligible for this contest. Don’t stress too much about what you’ll do if you do win. Eagle Creek put together a packet of materials to help potential winners, appropriately titled “Tools to Quit.” The materials include a Powerpoint presentation to show your boss about why you need to travel and a pre-drafted letter of resignation in case the slides don’t help build your case. Doesn’t get much easier than that. Winning this contest won’t get rid of that job you hate, unless of course they let you go for taking an extended vacation. It can, however, serve as a hard refresh, and sometimes that’s all you really need.